I treated myself to dinner and a movie (Man of Steel) in Eastwood yesterday, and it hit me that even if I've been working in Eastwood City since 2009, it was the first time I actually went to the place for leisure. I mean, I've watched movies and I've treated myself to nice dinners in Eastwood, but it's always been after work. Then again, even if yesterday was a holiday, I did pass by the office first! That's one side of me that I want to change, that person that often forgets to take a good look at where I am at the moment. Like, I now live most of the time in Quezon City, but have I gone around the place, discovering what's nice about it? Not so much. 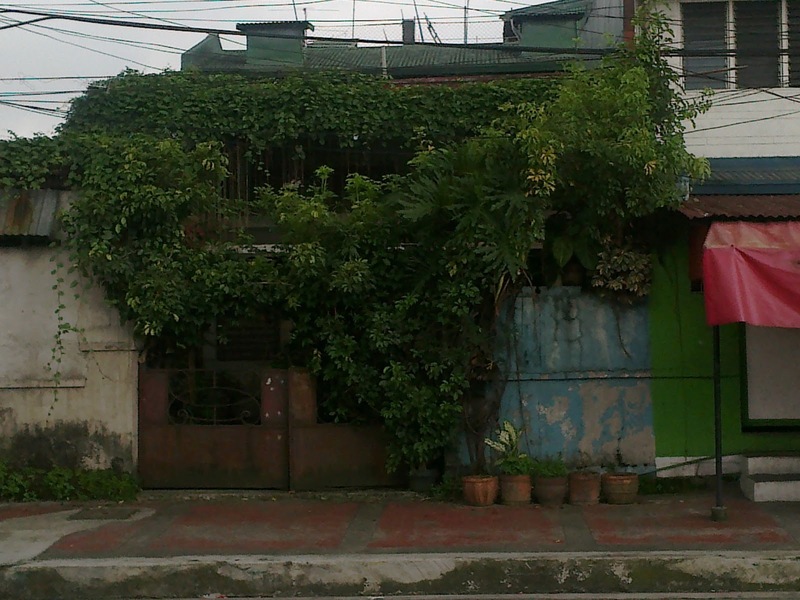 This is a house near where I live in Quezon City that I've always found interesting. I took this photo in October 2012. I thought the house was abandoned, but a couple of weeks ago, I saw a group of teenage boys calling on a girl, asking her to come outside. Come to think of it, I haven't been doing a lot of discovering recently. Maybe that's why I'm a little bored with life. I've got to change this. There are a few places that I want to check out in Metro Manila. I'll post the list in a separate entry.